Roz Chast, whose latest book is “Going into Town: A Love Letter to New York” in conversation with Richard Wolinsky. 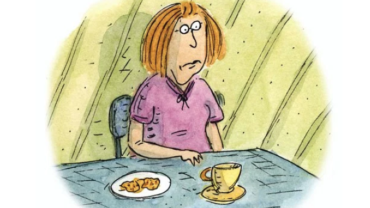 A regular cartoonist for the New Yorker since 1978, Roz Chast has developed a following for her quirky, strange and funny cartoons.. She started out in the National Lampoon and Village Voice but has since become a regular and familiar artist in the New Yorker. In this interview, she talks about her start as an artist, discusses how cartoons wind up in the magazine, and focuses on her new book, a graphic guide-book to New York, originally written for her daughter but expanded into an often funny and probably helpful look at the Big Apple.